Run Time: 2 Hours & 24 Minutes. This DVD covers the standard gas impingement AR-15 Rifles and Carbines. For Armorers and New Shooters alike.... 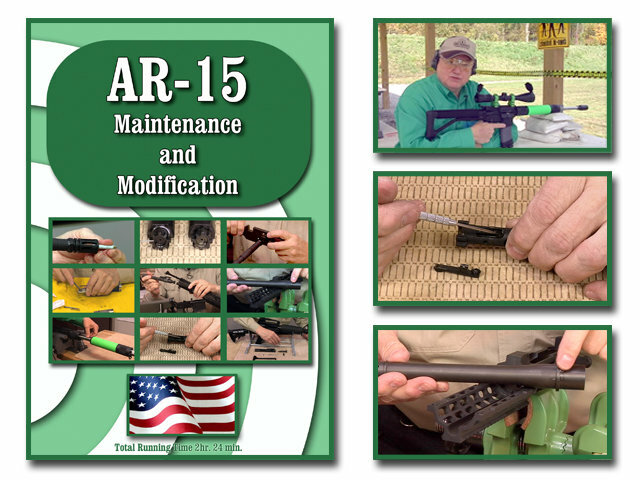 Topics included on the DVD are, General Safety Check Procedure, Field Strip Procedure, NRA Gun Care System for Cleaning and Lubrication, Left Hand Upper Overview, 22LR Upper Clean and Lube, Installing Free Float Handguard, Installing a Slide Fire Stock(RH), Converting a Fixed Stock to Slide Fire Stock(LH) and Building a 300 Blackout Upper Unit with an Ammo demo. On-Target's DVD's are digitally produced and provide clear and concise instructions. We at On-Target take great pride in the up-close videography of each DVD.